It can be very difficult to understand the teamwork approach required to protecting yourself in the age of dementia. 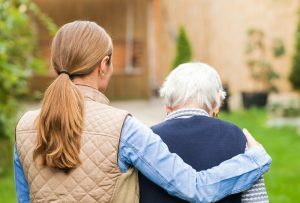 The very concept of financial or estate planning around dementia is a very complex matter since the development of the disease can vary from one patient to another. The way that the disease develops inside a patient’s body can be subtle or gradual and it can even develop abruptly in one person whereas slowly in another. The symptoms of dementia and the diagnosis of dementia can leave loved ones feeling confused or even hopeless and the person who has been diagnosed with the condition may not realize the many ways in which his or her life is about to change. Coping with these many mental and physical alterations mean that more mundane concerns like financial planning can be completely ignored. There are some important steps to take when you believe that dementia could be a risk. Financial professionals, designated decision makers, physicians, caregivers and elder care specialists can all provide some insight about how the person’s life might change in light of a dementia diagnosis. Since it can be impossible to understand just how quickly a dementia diagnosis can develop into a serious condition, you need to be prepared by considering the possibility early on when you notice the potential signs of dementia. The sooner that you can consult with your physician and attorney regarding estate plans and necessary documents to have in place, the easier it will be to cope with an already difficult situation. If you do not currently have an estate plan but recognize the potential for a sudden incapacitating event or the diagnosis of an issue tied to cognitive decline like dementia, you need to take action sooner rather than later to protect yourself. The support provided by an experienced estate planning or elder law lawyer can help to clarify many of the different issues you might not even have considered prior to speaking to a professional. Elder and estate planning lawyers who’ve worked with patients in this situation before would be familiar with many of the common obstacles, concerns and questions that you might bring to the table when trying to plan. Consulting with an attorney as soon as possible after receiving the diagnosis is instrumental, particularly if the disease were to develop rapidly.